If you have anything you would like included in the website, please contact John Clark (johnthedrummer@hotmail.co.uk). Please see Events for full details. Club member Charlie Thorn has offered the club a discounted rate for use of 'Elham Valley'. It would require 4 confirmed advanced bookings during the year with money pre-paid up front. If you would like more off-road days, please inform John Clark via facebook, email, text (07896 246218) or in person. Many thanks, and thank you Charlie. New little write-up at bottom of About Page. BEWARE! 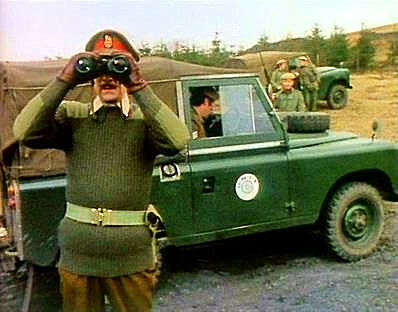 Land Rover thefts are on the rise again. Security advice can be found on the Links Page. The Club Shop is now advertised online! ORDER NOW BEFORE PRICES INCREASE!!! (Sorry, no direct online purchases). The club is interested in owning more logs (or ramps) to park on. Please see Links Page for details. Please feel free to send John Clark three different pictures of your truck, the truck's name, engine size and model to feature on the Members Page. Also, please check your truck's details and let any amendments needed be known. Many thanks. The membership subs are once again due. However, this year we are offering a special discount to our prompt members. If you pay by/no later than the May monthly meeting, we will give you a £5 discount on your renewal ... so £15 for the year. It will then return to £20 from the 8th May. And if no subs have been received by the July meeting, we will assume you unfortunately no longer wish to be a full member. A list of last year's members can be found on the Members Page. Please check out the club's Facebook Page and scroll through for recent trucks and items for sale, member's latest news and questions and upcoming (sometimes last minute) event organising. 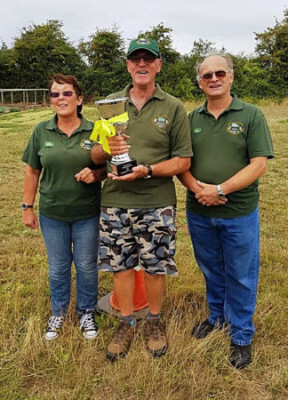 More details about the Tim Letley Cup can be found on the About Page. 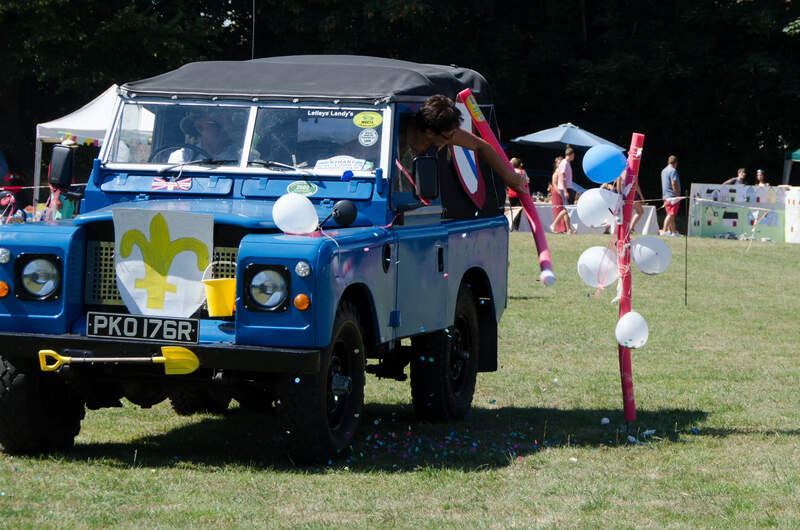 On Sunday 8th July, Invicta Land Rover Club were once again asked to put on a performance at the River County Fete. 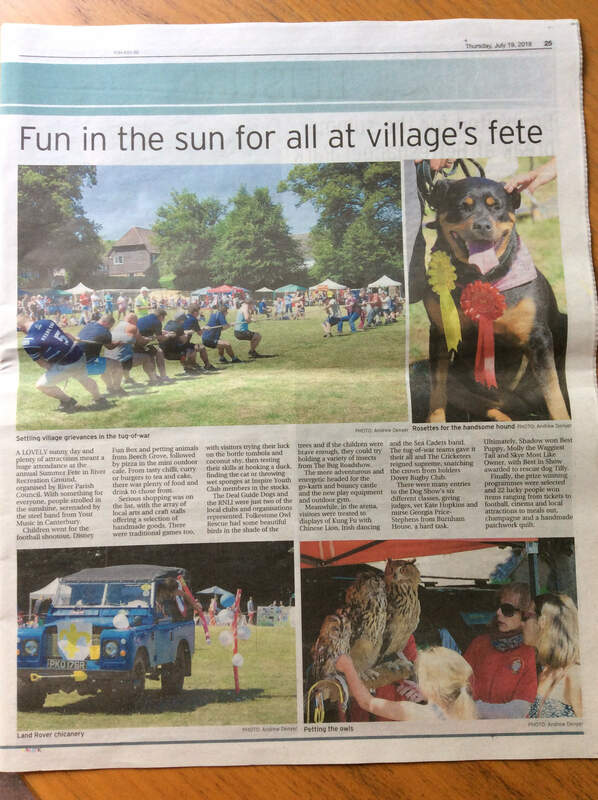 Despite being a small show for the village, our club have been known for the traditional live exhibition in the ring; a highlight amongst the dog show, dance schools and village stalls. 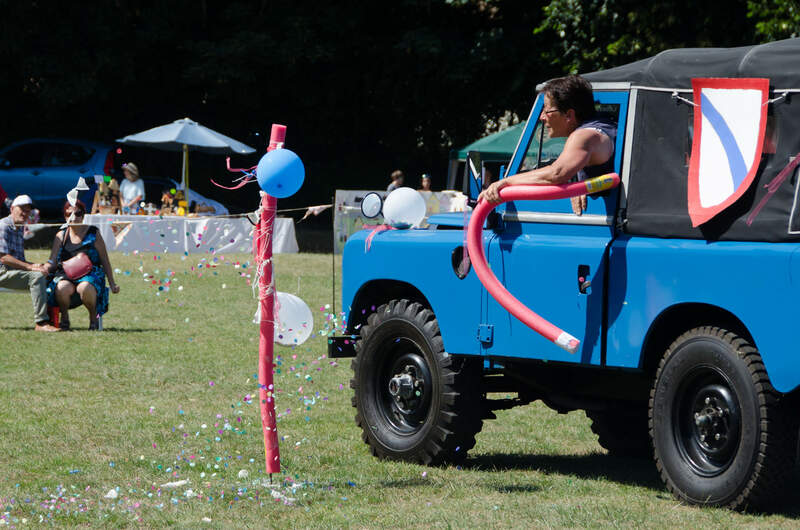 Previous entertainment provided by the club in the mini arena have included figure-of-eight chaos driving, dancing in tutus, and balloon jousting. The latter was requested again by the new organisers for the 2018 show. Unfortunately, only two members turned up this year for the show; The Letleys and Olly. However, Olly's TD5 was poorly with a blown head gasket, so only the Series 3 was able to enter the ring. (Ironic, as previously The Smurfs said J.C. would struggle to make the tight turns). Determined not to let the locals down, they re-organised the jousting for one, and even got their pic in the local Dover paper. Well done guys. Lets hope more club members can support this event next year. John Clark would like to say a huge thank you to everyone who voted him as the Tim Letley's Cup 'Club Member of the Year'. He looks forward to continued fun with the club, and further website and recruitment duties. John Clark would like to thank Mike Turpin (on behalf of Damian Young) for helping out at rather short notice for the 'Sci-Fi by the Sea' event at Herne Bay, on Sunday 25th June 2017. 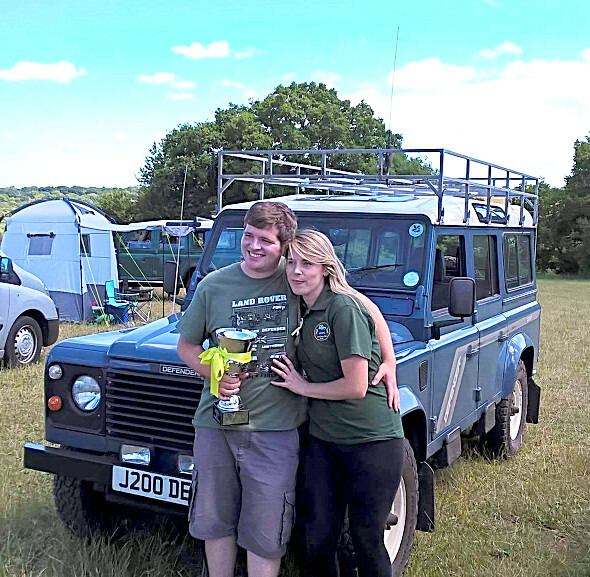 Damian Young, an organiser of the event, found the Invicta Land Rover Club website online and sent John an email during Friday afternoon. 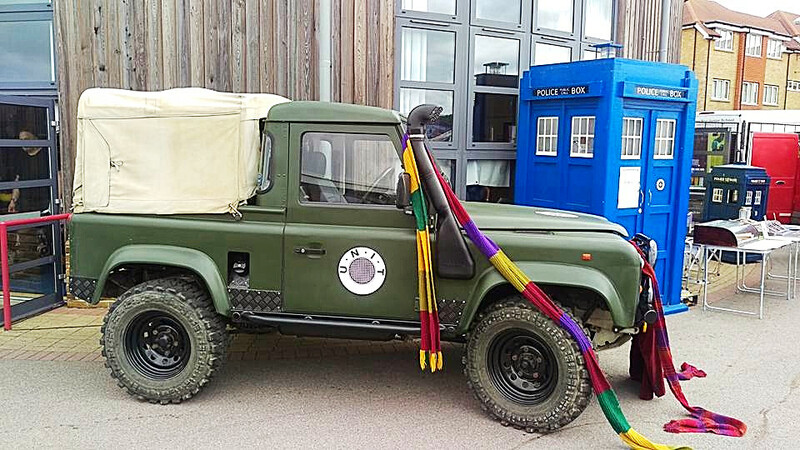 He was looking for a close match to the truck in a picture, needed to promote the sale of a Tardis for charity. The truck he had originally booked had to pull out (reasons unknown). After going through the options, John messaged Mike who kindly agreed to step up to the mark for this event. This modern day version of the classic scene went down well. 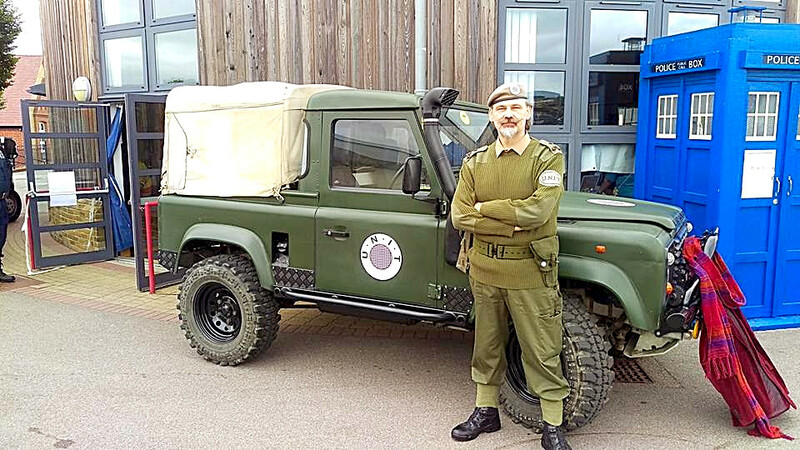 Invicta Land Rover Club to the rescue! See the reason for it here. 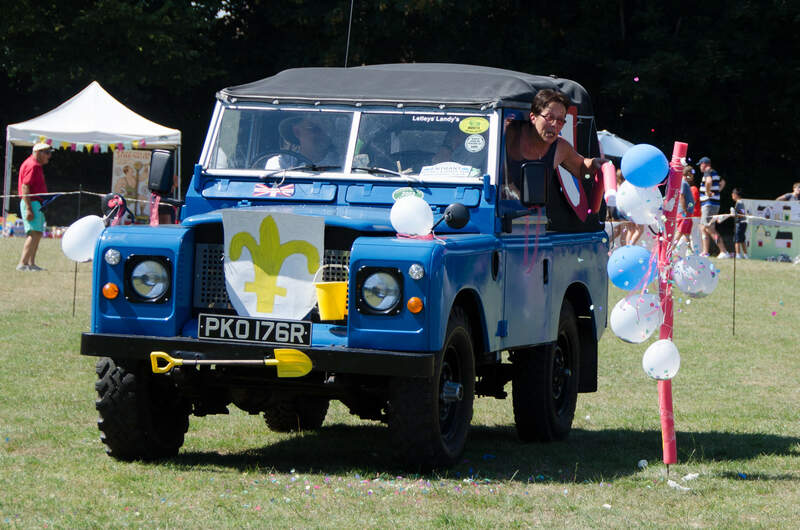 If anybody has Land Rover related questions, we have a Facebook Page available to help you. 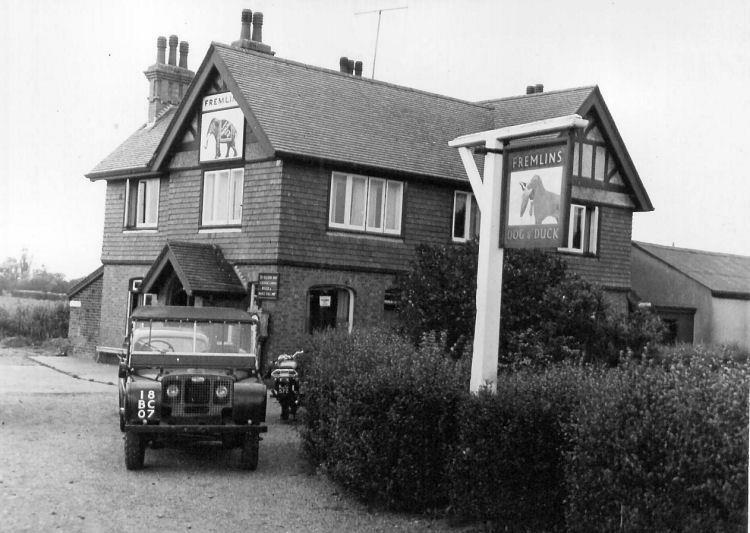 This is used to discuss all events and land rover related queries (like a modern-day forum page).